Our school opened its doors for the first time in 2015 and sets out to provide high quality education for the students of Wyndham Vale. The school values of honesty, respect and responsibility are evident in everything that we do. We invite you to take the opportunity to come and tour our school if you are considering enrolling your student here. 2019 school tours will take place at 9.45am on 1st April, 6th May, 3rd June, 5th August, 2nd September, 7th October and 2nd December. There will also be an evening school tour on Thursday 28th March at 5pm. 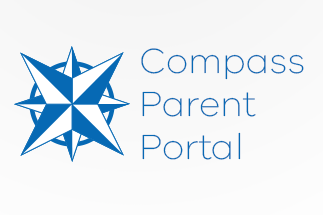 Compass Parent Portal now live! Click here for more information on how to access and use this service. Thursday 21st of March was Harmony Day at Wyndham Vale Primary School. Congratulations to all on a successful day! Enrol your child at Wyndham Vale Primary School for 2019. Out of hours and holiday on-site child care. Find out what’s been happening at Wyndham Vale PS. Access the Compass Parent Portal via this link. Sue Seneviratne was appointed to the position of Principal at Wyndham Vale Primary School in August 2014. Sue came to WVPS from her last role as Principal of Keilor Primary School, where, under Sue’s direction and guidance students consistently achieved results that were well above state averages. As well as being a trained Reading Recovery teacher, Sue also has a Diploma of Teaching, a Bachelor of Education and a Postgraduate Diploma in Student Wellbeing from Melbourne University. Sue and the staff have worked hard to build a culture at Wyndham Vale PS where respect is the norm, and where staff and students alike strive to achieve high academic and personal outcomes. Strong community engagement across the school is encouraged, all within a framework of care and concern for others. 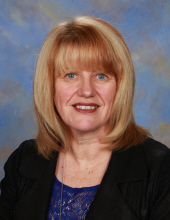 Sue is passionate about students working to their potential and preparing young people to be successful, productive, resilient and fulfilled citizens, who make a positive contribution to the community which they are a part of. The school values of respect, responsibility and honesty assist with embedding this focus. The Wyndham Vale Primary School Canteen is now open.